Dr Gormley has been providing dental care for people of all ages for 30 years with the help of his compassionate and helpful staff. Our goal is to treat you gently, quickly, and at a reasonable cost. Dr Gormley personally sees every patient and can provide emergency services and complete restorative care. Our office uses advanced digital x-ray equipment to provide quick and safe diagnosis. We can offer simple cleanings and fillings through root canal, tooth extractions, crowns, dentures, veneers, implants and more. 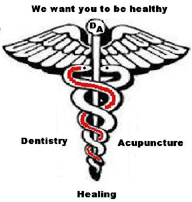 We can also offer acupressure to relieve many head and facial problems. Just call Jay at 973-759-2100 and ask for a convenient appointment, free consultation or free 2nd opinion.